Should being a Christian encompass all of life? Or only part of life? For hundreds of years the church has taught that in order to live fully a person must have right belief (orthodoxy) and right practice (orthopraxy), and yet this is an insufficient theology. By failing to consider the importance of right mystery and beauty, we are only getting at part of the story. ART AND FAITH is a commentary on the crisis of imagination happening in the modern church. Increasingly, artistic and religious expressions are viewed as different—and somewhat conflicting—realities. 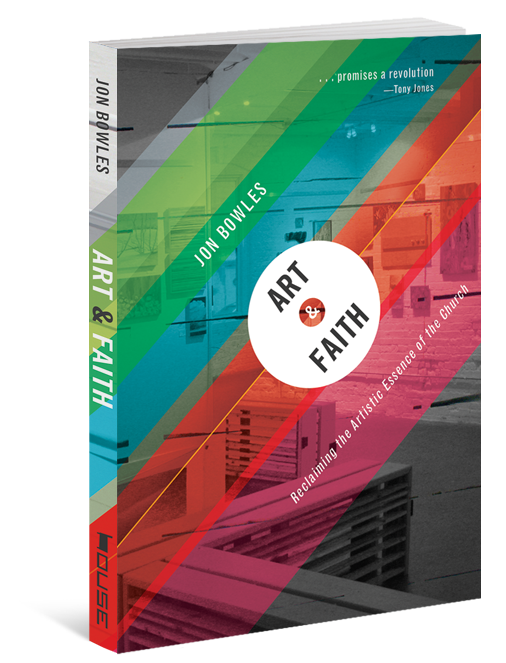 But author Jon Bowles throws light on the worlds of faith and art, revealing the ways the two are not dichotic but instead necessarily related. Informed by the narrative of Beggars Table, a community that meets in a gallery in Kansas City’s Arts District, Bowles moves us past superficial suggestions for arts programming and into a conversation about the meaning and formation of awe. This is a story about how art has shaped the imagination of one church toward the kingdom. This could be a story about your church too.